There comes a time in your life when you tried all that you could, yet, you come to realize that you have to put YOU first. That’s one idea. 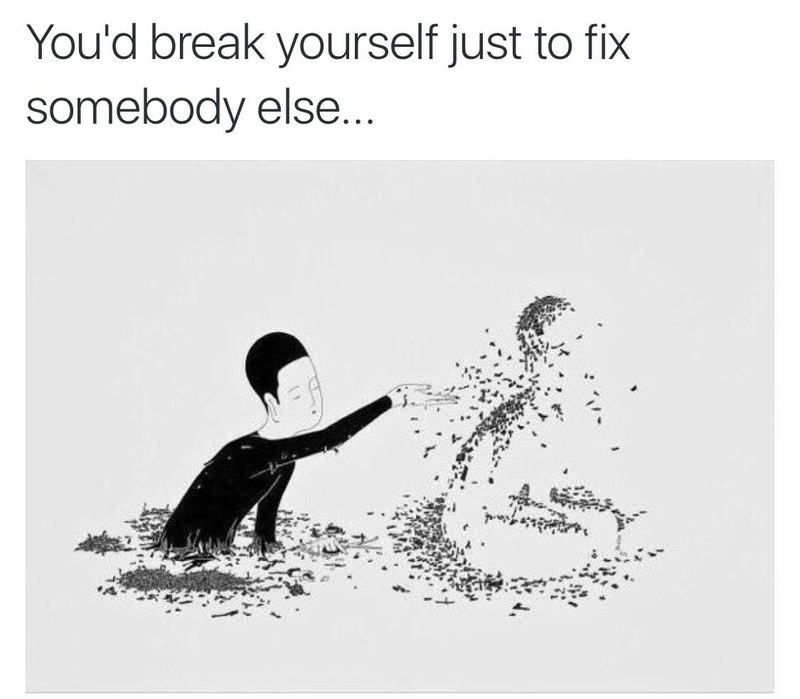 Don’t break yourself, taking pieces from yourself just to use those same “pieces” to fix someone else. Don’t, I tell you. You can NOT help someone before you can help yourself, or unless the two of you can help build each other up together. That’s another idea. I can’t agree more. Great saying and thoughts. It’s the perfect time of year to offer this reminder. Well written! Thank you so much, Christy. Learning to do that slowly. Very nicely put ! You can say it again! Great piece. Thank You.